SuperData Research, purveyor’s of digital revenue figures, have released their October numbers. 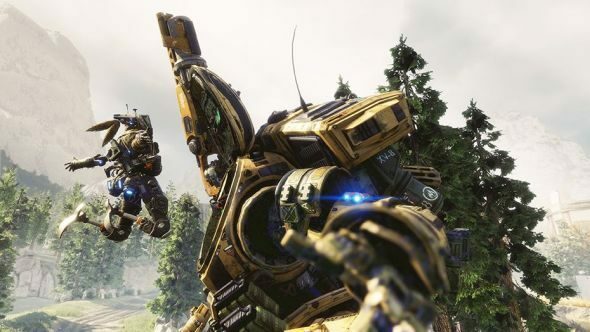 We already knew that Titanfall 2’s physical sales had been fairly poor, but digital is, if anything, worse. According to the research firm, the release date between Battlefield 1 and Call of Duty: Infinite Warfare lead to it bringing in “only 28% of its predecessor’s first month revenue” at $18 million total. Have you been playing? Tell us what you think in our Titanfall 2 user review. It did prove a great sacrifice, as Battlefield 1 managed to pick up $110 million across its various platforms, with SuperData predicting it will be outsold by COD on consoles, but not on PC. Were the bad tanks worth it at the cost of the good mechs? You decide. Elsewhere, Overwatch managed to increase its monthly revenue gains by just under 30% with the Halloween event. That’s a lot of Witch Mercy skins. League’s Halloween efforts didn’t have a notable effect on their month-on-month money made, but it was still $154 million in microtransactions. Perhaps the month’s biggest winner on PC was Civilization 6, which managed to help PC revenue as a whole grow massively. It’s fifth in revenue generated for the month behind various F2P titles and WoW. More info on the Superdata site.